In any free society, politics is about formulating choices for the electorate. Those choices are critical in informing a public debate. To have choices, however, opposition politicians need to articulate policies that offer clear alternatives to social and economic decisions put forward by the government. Thus, opposition parties require strong leaders with particular skills in public debate. At the end of the day, politics is about shaping and influencing a public discussion about the things that matter to people. Ed Miliband failed to convince the British electorate of the cogency of his narrative. Yet, whilst he often looked awkward in interviews, he had in fact launched a whole raft of policy reviews which fed into his party's manifesto in 2015. Jeremy Corbyn's leadership has been nothing short of disastrous so far, but his supporters have been very vocal (if not always exhibiting the required civility on social media) and he is clearly settling into his role as leader of the opposition. Regardless of what people say about his strange beliefs in socialism (flashback: that's the thing that was wholeheartedly rejected by the people in Eastern Europe in 1989 after a thorough 40 year plus first hand experience of it), the main stumbling bloc for Labour is not Corbyn's whacky beliefs, sometimes bordering on conspiracy theories, but his lack of skills that are necessary to be effective in the public debate of any free society. In fact, his debating skills are so poor that he appears to have decided not to engage in any public debates with opponents anymore. His response mode in television interviews is wooden and gaff prone. Even friends of Corbyn say that they have never seen him discussing anything, even in private. The recent debate on airstrikes in Syria showed why he is wary of engaging in public discussions. His response to the Prime Minister at the dispatch box was so poor that news programmes struggled to find any section for their evening news bulletins worthy of broadcast. Most TV programmes focused instead on the passionate and articulate reply of the Caroline Lucas, the only Green Party member of parliament. The second domain of critical importance to any opposition party is to develop a list of policy choices that speak to the country's priorities and shape the public's choices and preferences. So far, under Corbyn's leadership, the country has drawn a blank in this category as well. There has been a stunning silence from the Corbyn team on issues such as economic policy, transport policy, devolution or even gender equality. I only mention devolution because it is shaping up to be of key importance in England with the devolution of powers to Manchester, Cornwall and Sheffield (including their NHS and social care budget) and the upcoming elections in Wales and Scotland in May 2016. It seems that the Corbyn team is still trapped in a London bubble dominated by issues that matter to an urban well-to-do elite, whilst digging up some random ideas about state ownership and the evil character of bankers. All this does not appear to add up to a coherent policy programme that may improve people's lives. The last aspect in which Corbyn scores poorly is building cross-party alliances for practical campaigns. His largely ineffective backbench existence of more than 30 years contrasts badly with the extraordinary activism of MPs such as Stella Creasy who, when coming to parliament in 2010, started instantly to build a strong cross-party campaign against loan sharks. Creasy reached out to the media and, ultimately, forced the issue onto the government agenda. In contrast, for more than three decades of sitting on the green benches, Corbyn has not once managed to organise a campaign that captured anybody's imagination. He appears to have been busy nurturing his prejudices about 'the capitalist system' whilst cultivating an image of a 'man of principle'. It is his ineffectiveness as a politician to create alliances that should worry Labour Party members. And if Corbyn fails to either effectively influence the public debate or develop policies relevant to practical issues, Labour will find itself increasingly marginalised and without any answer to the Conservative transformation of British society. In a world where we are confronted on a daily basis with horrific images of war or the consequences of military conflict, it seems plausible to adopt a pacifist stance. Wouldn't it be better if we refrained from any confrontation with our foes? Perhaps we could prevent further bloodshed by declaring our unwillingness to use arms? Pacifism has a long and distinguished history, featuring amongst other proponents people like Jesus Christ and Gandhi. Its heyday in modern times probably occurred around the 1970s and 1980s when two superpowers confronted each other in Central Europe with enormous arsenals of weaponry which made any potential military conflict non-sensical. Jeremy Corbyn's pacifism originates in that period. His pacifism is rooted in the belief that conflict only generates more conflict, which will ultimately prove futile and destructive of the human race. He has recently confirmed his position when he said that he would not give the military the permission to use a key mechanism in the defence architecture of the country, nuclear weapons. There has been some debate as to whether Corbyn would make a reliable commander in chief if he was ever elected as a prime minister given his reluctance to allow the military to defend the country with all means necessary. Yet, the actual issue lies elsewhere, and it goes to the heart of the pacifist doctrine he espouses. Pacifism draws its strength from the idea that the willingness to fight only leads to more conflict and more bloodshed. We can all think of some scenarios where this is undoubtedly true. Some fights we don't want to pick. Sometimes it is better to walk away. Yet, this is largely true only for very simplistic situations, not for complex ones as they now present themselves in world politics with increasing frequency. Corbyn's error appears to be the error of many pacifists before him: extrapolating from an easily intuitive example and thinking it applies to everything else. The paradigmatic case is that Chamberlain's policy of appeasement towards Hitler. The then British prime minister has been much maligned by his decision to negotiate with who we now know was a man poised to destroy European civilisation. But Chamberlain was probably motivated by the conviction that everyone was animated by a desire for peace. The fundamental error at the heart of Chamberlain's calculations was therefore a misunderstanding of Hitler's worldview. In contrast, the fundamental error at the heart of pacifists today cannot be a misunderstanding of the murderous intentions of ISIS or any other terrorist organisation. Today, we have a hard-earned comprehension of the horrifying life-denying and destructive ideology of ISIS terrorists. So, Corbyn's pacifism is not a miscalculation of the destructive aspirations of our foes. What motivates him is his desire not to have to make the difficult call to fight murder with force. At the core of this desire lies an ambition to remain pure, not to be associated with acts that may lead to suffering. And as such it is a wish that is both noble and horrifyingly naive. As ISIS terrorists attacked innocent civilians in Paris and murdered them one by one in the Bataclan concert hall, brave police officers had to move into the venue and confront them. There was no time for negotiations or to prevaricate in the face of the terrorists' determination to kill at random. The officers did not have the privilege to indulge in pacifist principles. For Corbyn, who recently regretted that the killer Jihadi John was killed by a drone strike, killing can never be justified, not even to protect innocent civilians. With murderous terrorists striking at the heart of Europe, Corbyn's unwillingness to defend innocent civilians to protect his principles makes him a liability for the security of the country. His pacifism reveals itself as a fundamentally selfish desire to remain unsullied by decisions for which there are no cleancut options, for which there are only losses and no wins, which, in a sense is the core business of grown up politics. I would say that the new James Bond movie is a bit of a guilty pleasure but sadly, it's the type of guilt you feel when you wasted 2 hours of your life. The movie is certainly a slick production with stunning and impressive graphics (aren't they all these days with CGI?). Bond's love interest is also certainly one to watch, not just for her beautiful looks but also for her ability to deliver the silliest lines with a cheekiness that makes you wonder what she thought when doing this movie. Yet, the rest of the movie falls flat which is mainly Daniel Craig's fault. I would call his acting 'stiff' but that would imply he does act in the first place. 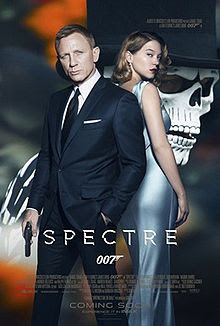 The strange thing is that he is probably the most un-British James Bond for a long time. Craig lacks the ironic distance to the role with which Pierce Brosnan treated the franchise so successfully. Craig also does not have much in the way of the English style (ironic, again, as Irishman Brosnan did this so well). Instead Craig replaced 'Englishness' with some sort of indistinct swagger. In one early sequence he wears a costume with a skeleton printed on his back and we see him walking next to a beautiful woman. For a second, I thought Craig was a woman in men's clothing on account of the heavy way he rolls his hips. This contrasts with his intention to pass off the role as hyper-masculine but somehow he gets it all wrong. While Sean Connery and Brosnan had their feminine moments which were used to re-inforce their masculinity, Craig only manages to look strangely neutered, and ultimately tired of acting. Perhaps this is slightly unfair but one of his previous roles have stuck in my mind. In 'Road to Perdition' he plays the son of a Mafia boss (Paul Newman) who causes havoc by equating business with the ability to kill at the earliest convenience. The hapless character suited Craig well but his acting was equally so wooden that his final scene is shot without us actually seeing him (Tom Hanks shoots him in the bathtub). The logical step would have been to give Craig the scene simply as a brilliant chance to act out the cowardice and viciousness at the heart of the character. Yet, presumably, the director did not have much confidence that Craig could deliver, so in the end, Hanks simply pulls a shower curtain across to conceal Craig as he is finally dispatched. I was reminded of this scene (and Craig's absence in it) when watching Spectre. The more we see of Craig, the less he looks interested in the role of James Bond. Whilst Lea Seydoux pulls out all stops to put some fire into this soul (and his loins) he appears to have little enthusiasm for a love affair. I have rarely seen a screen kiss with less chemistry between the main protagonists, and I don't think it was Seydoux who held back. All in all, whilst the James Bond format is still strong, Craig's delivery is as flat as a pancake. In one of the last scenes, his nemesis Blofeld is drilling into Bond's brain and announcing that he will soon have no memories. Craig's acting has had the same effect, I have already forgotten all about it. 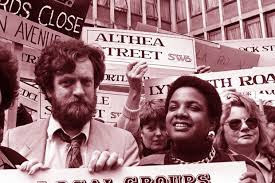 After about a week of revelations about sympathies with terrorist groups and motorbike rides in East Germany we know a lot more about the new leader of the Labour Party. Looking over the evidence assembled before us the depressing thought emerges that there is not much to know in the first place. It seems that JC, as he is fondly called by his supporters, has lived the 'normal' life of an eternal back bencher in Parliament, nurturing his pet dislikes and cultivating the image of himself as the moral, if slightly ineffectual, conscience of the party. If this public image of the new leader appears to be rather two dimensional, what about his policies? 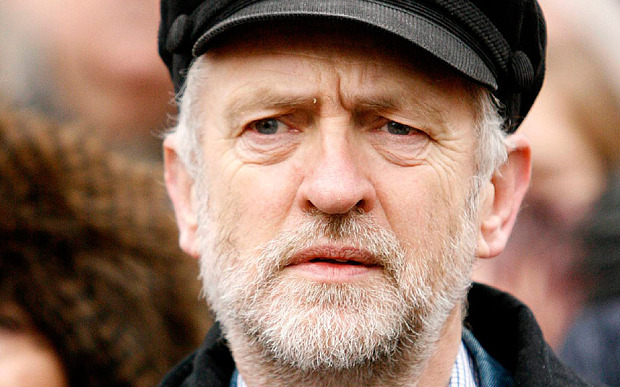 So far, we know that JC and his team want to build Jerusalem by introducing socialism to the green and pleasant land. The details of how this is to be achieved are still sketchy but some policies have come to light. There is the re-nationalisation of the railways (until 2030) and the opening of the coal mines. Nationalising the banks also appears to be somewhere at the top of the list, although it may have escaped their notice that two of the banks were de facto nationalised already, so hardly a radical tool in the socialist arsenal. Apparently, making the Bank of England independent of political influence is also something the Jeremy Corbyn team deeply resents, depriving the British government of the convenience to print money when things do not work out as planned (no pun intended). Bringing the Bank of England back into the control of the all knowing treasury officials should take care of the evil scourge of low inflation and low interest rates. Never mind that most British people may take a different view on that. Looking at the list of early policy announcement one is struck by how little of what is so close to the heart of the new leader actually matters to people's lives. How does the re-opening of the coal mines help with providing better child care? What does the re-nationalisation of the railways mean for the crisis of social care and how to provide good quality dementia care in the communities? The vacuity of JC's 'policies' does not lie in their left leaning drift but their shocking ignorance of the issues that matter to people up and down the country. It's the banality of his ideological positions in the context of modern society that reinforces the impression of a man who appears to have fought hard to protect his own little bubble from any undue influence of reality. And now he is in a position to make his party just as irrelevant as he has been for more than three decades in parliament. Three cheers to that! The New Yorker recently ran a feature on Bill Bratton, the former and current Police Commissioner of New York and Los Angeles. Bratton achieved some fame (and notoriety) as an advocate of the 'broken windows' policy which is often credited with bringing crime levels down in New York during Rudi Giuliani's govenorship. Ever since the big apple experienced a precipitous fall in crimes, a debate has been raging whether the 'broken windows' policy has been a factor, or even the major contributor to this success. In essence, advocates of the 'broken windows' policy base their support on the slippery slope argument. Small misdemeanours will lead to larger ones, leading from 'victimless' to more serious transgressions. Ignoring offences that are, initially, seen as inconsequential, such as fly tipping or drug dealing, send out a signal to everyone that criminal behaviour may be tolerated too. The 'broken windows' policy is a tool to nip things in the bud, before they can get out of hand. It strengthens the community's resolve to see all types of misdemeanour as harmful to at least one victim: the local community itself. Whilst I have no evidence either way to decide this debate, I can say on thing with certainty. Living in Liverpool, one of the most deprived areas in Britain with the highest crime rate, I think it is quite irrelevant whether preventing so called 'minor' crimes may lead to a reduction in larger ones too. 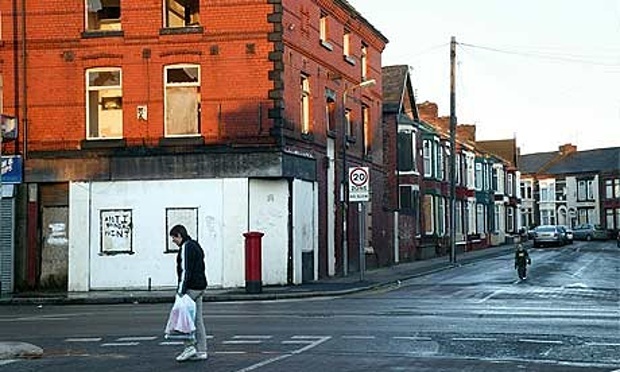 So far I have still to meet a single resident of, say my current home Kirkdale, who says that tolerating a single 'smaller' or 'victimless' crime leads to high quality of life. No matter of what 'scale' or 'consequence' a crime is, it seems to me that reducing any type of offence will make for a better quality of life. As Kirkdale (Liverpool) is an area with, on average, more than 600 crimes per month which makes it one of the highest in England (in July the official crime statistics by the government documented a record of 828 crimes in Anfield and Kirkdale), you can take my word for it that tolerance of allegedly 'harmless' drug dealing (and drug deals gone wrong with people being stabbed in front of shop stores) do not add to feelings of high quality of life in the area. To my mind, there is every reason that the local police should try out the 'broken windows' policy in Liverpool. Jeremy Corbyn has been called a principled man time and again by his supporters. Principled he may be, but do these principles mean anything? Here are some quotes from his victory speech in London yesterday. Tick if you are in agreement with him. Looking over this list of principles, I challenge you to find two dozen Tories who would not have ticked every single one of them. As someone once wryly noted, politics is about answering the question who gets what and when. That involves compromising the principles you hold dear. Corbyn has so far (and his political career spans more than 30 years) managed to avoid answering that very question of politics. Let's see if his leadership will rise above the banalities he has plied himself and his supporters with for more than three decades. Draft of Jeremy Corbyn's victory speech found! Greetings to you all! Greetings also to our friends here today from Syriza and Podemos! We are with you, comrades, in your fight against the finance capitalists of the US and Germany, and reality! All the way! Comrades! This is the day we have been waiting for! Some of you have been waiting a bit longer like me, others have just joined us recently! But the waiting is over now! People of future generations will remember this day as a historical turning point, when social justice returned to the dispossessed! There have been some concerns that under my fuehrership, errrmm, leadership, the Labour Party will become a chapter of the Trotskyist Socialist Party. I say.... perhaps! But Labour is a big tent with many people of different persuasion. Now, dear comrades. Let me also address some opinions voiced in the bourgeois press that I have not paid sufficient attention to the economic realities of our days. I say: nothing could be further from the truth! As the enthusiasm of all of you show, we are fed up with poverty and destitution! Down with the exploitation of workers! Think of the starving children of unionised train drivers in the privatised railways. Living on £48,000 pounds a year. That is a disgrace! Whilst the greedy capitalist barons of the city live it up with champagne! Never again! That brings me to the last point of real importance. Nothing is more urgent than constitutional reform, I say! The House of Lords is an anachronism of Stalinist proportions. (note to myself: check this metaphor... something seems odd about this). We do not need an unelected upper house! Once the factionalism in bourgeois society is banished to the dustbin of history, we will be able to co-opt our carefully selected members of the glorious Socialist Party straight into the House of Commons. Away with the antagonism and strife of democratic elections! We are all workers now! Now, let us all rise and sing the International... and let the small minded and the rich be in no doubt: NO PASERAN! In the winter of 2007, in a bout of hopeless nostalgia for socialist times I decided to spend my New Years Eve high up in the clouds above Berlin. Well, not that high, 290 metres to be exact, in the Television Tower of East Berlin. By chance, I ended up sitting next to a former manager of the East German Socialist Planning Agency. The Agency was responsible to project the number of consumer goods needed, everything ranging from car tyres to toilet paper (there was only one kind, of the grey and rough variety). Planning periods ranged from 1 year (the short term plans) to five years. The projections would then be passed on to the Ministry of Economic Affairs which instructed East German factories to produce the relevant number of goods. I remember distinctly that, despite this being almost 20 years after the collapse of socialism, my neighbour at the dining table was remarkably upbeat about the future prospects of socialist planning. The reason it had all failed the last time, he argued, was because they (at the Planning Agency) had not yet had computers with sufficient calculating capacity. This was likely to be different soon as computer capacity would become so large that you could plan the needs of millions of people at any point in time. At that moment, people would finally see the light and socialism would come back. I was recently reminded of this slightly unhinged reminiscing with a former party comrade in Berlin's television tower when I heard Jeremy Corbyn suggest that most of the UK's problems would be solved once the railways, utilities and pretty much anything else would be taken into public ownership. What really astounded me however was not that he advocated what had failed before. Rather, of all people, Corbyn did not seem to have read much Trostky. Having turned his back on Stalinism in Soviet Russia, Trostky produced a stinging critique of public ownership arguing, in essence, that where everybody owns everything, no one owns anything, leaving a small party political clique (or union nomenklatura) in charge. Sometimes I wonder why socialists keep climbing the same dizzy heights of economic planning time and again. But then perhaps, the view from up high might be very comforting. Everything looks small from there, as if we can move things around according to the plans we have for them. The calculations of most political observers about Labour's electoral chances in 2020 focus on seats, Scottish Nationalists and political dynamics. Yet, there is also a broad consensus that, at the last election, the party had the wrong leader. Anybody who carefully listened to Diane Abbott on This Week any time before May 2015 knew it. Miliband was never going to be prime minister (Abbott always put it diplomatically: 'he might win'). The fact is that the gut feeling of moderate centrist floating voters (of which Abbott is none, yet I am indeed) is often right. Ed Miliband never looked like a prime minister in waiting and everybody knew it from the moment he looked flustered (and haplessly) around on stage as his victory was announced. This 'gut feeling test' does not just work for the Labour Party. It goes for Conservative candidates as well. Michael Gove just won't be living in Number 10, no matter how radical he is in the various jobs he will hold in the next 5 years. Much has to do with fluency of delivery in front of cameras and rhetorical discipline (both things easy to credit Gove with) but there is also stature and self-belief. Take all of these things together, and you have a credible prime minister in waiting. This brings me to the four leadership contenders of the Labour Party who are currently slugging it out at hustings. Anybody of moderate central political views will see the same: four candidates with the calibre of leading the party in opposition but none to lead them to power in 2020. First there is Liz Kendall, who still lacks the rhetorical fluency of Tony Blair and his polished media performances. Then there is Yvette Cooper who will probably make a suitably ruthless party leader (though with an unappealing hairstyle). Next there is Andy Burnham who would be clobbered with his dire role in the Staffordshire NHS scandal every time he would appear at the dispatch box (I also find his looks slightly creepy). And finally there is Jeremy Corbyn who probably would induce laughter on all benches if he ever makes it to the dispatch box at all (does he have a duffel coat for the celebrations at Cenotaph?). The most interesting feature of this leadership campaign is who stayed away. Labour has credible candidates indeed, yet they have decided not to put themselves forward. There is of course Chuka Umunna who probably still needs some time to clean out some skeletons from his cupboards before he can safely stand. I would not be surprised if his girlfriend quietly fades from view over the next years. And then there is Tristam Hunt, probably the strongest candidate for prime minister in waiting at some time in the future. He is also the most dangerous opponent for the Conservatives, given his background and already polished media performances. What he lacks (and that may have played an important role in his decision not to stand) is a top front bench job in a difficult portfolio like defence, health or foreign affairs. There is of course no guarantee that either of them will ever have the chance to put their names forward after 2020. As George Osborne is doing a Merkel and moves the Conservatives to the centre, the Labour Party's reflex is to seek solace in the socialist nirvana of unmitigated nostalgia. But once the Coopers, Burnhams and Corbyns had their stab at failure, the Labour Party will be able to look for a credible candidate. At that time, people like Umunna and Hunt should be ready. If anything, the recent spat in the Labour Party demonstrates once again its genuine altruism. As the great British public are getting ready to be bored by endless traffic jams and scorching summer heat on the beaches of Kent, the Labour Party provides us all with an entertaining spectacle worthy of Shakespeare. On one side, behold the modernisers, ready to pounce on anyone who dares to mention past ghosts still haunting the party (who are now jet-setting and sporting deep tans), on the other side, see the undead of the stalinist union sympathisers who smell a chance to hijack the party machinery for the ultimate battle to bring socialist nirvana to the (uninformed) masses. To any bystander however this spectacle resembles more shadow boxing than an actual debate about the future of the party. In the very centre of any party husting is the glaring black hole of ideas, right or left wing, or at least the stubborn unwillingness of either side to articulate any policies. That suits the incarnation of the stalinist undead from Islington who is trying to pass himself off as the older version of the Greek PM Tsipras, with some modest success. Corbyn, like any ideologue, revels in bland 'statements of principle' which offer instant appeal but have little to do with politics, the art of the compromise. The centre ground does not look much more attractive with a former PPS and Cambridge graduate trotting out the line that he is 'from Liverpool' which, he believes, gives him the 'common touch'. Then there is Yvette Cooper, who is mainly driven by an unfathomable ambition to be leader without ever quite revealing why she would want the top job. My best guess is that she does this as a kind of ego-trip to revenge the defeat of her husband. But that's only a hunch taken from the only comment of hers that made headlines so far, which was that she cried when Ed Balls lost his seat. Lucky those with supreme motives like her. And then there is Liz Kendall, which strikes everyone as a pale version of Tony Blair (pun very much intended). Her main characteristic appears to be that she lacks Blair's charisma and his way of connecting with people, or formulating any simple sentence that hits home, for that matter. Something she will undoubtedly learn in the next five years, even if not at the dispatch box opposite David Cameron. So, there we are, the sorry spectacle of the Labour Party selection process. I propose that we should talk about the really important things in life again. How about a national debate on whether we should put the clocks back for summer TWO hours instead of one? We always talk about this. Let's not be diverted by the small matter of the Labour Party making itself comfortable in eternal opposition. Growing up in East Germany sometimes felt like living in a fantasy world. It was not so much that East Germany was a land of plenty but rather that some people spoke a language that appeared to hover over reality without ever really touching it. In public, people seemed to engage in an elaborate linguistic game with strict yet inscrutable rules, juggling words without any meaning. 'Imperialist plots' were constantly afoot which were designed to prevent the 'vanguard of the working class' to march unhindered towards a 'glorious communist future'. Ultimately, however, resistance was futile since the Marxist logic of the march of history was undeniable. This normality of politics for long has informed the broader consensus in European politics. Cut through the ideological nonsense and find solutions to problems has been the motto of European politicians ever since they put their signatures under the Treaty of Rome. The first extreme leftist Greek European government, in coalition with an extreme right wing party, (who says political extremes are polar opposites!) is a sign that this consensus is about to end. Listening to the Greek Prime Minister it reminds me of East Germany. It sometimes sounds as if he really believes the hollow phrases of neoliberal evil-doers and Greek comrades being humiliated by the international finance capital. Mixed into this melange of ideological clap-trap borrowed from the darkest Stalinist times is a good dose of eternal victimhood that traditionally curries favour with the Greek populace. Seen as a clash between pragmatists and ideologues, the negotiations between the troika and Greece could only have one final destination: a confrontation between nationalist and ideologically charged rhetoric and shock and disbelief by European governments about the Greek Prime Minister for refusing to accept the basic framework of pragmatic European politics, resting on negotiations and compromise. Yet, we shouldn't be surprised. The attractions of living in a fantasy world have always be strong. And, you know, no one has yet conclusively proven that Marx was wrong. Whilst most people are increasingly likely to greet news about Greece with a sense of fatigue, the main battle lines appear to criss-cross political camps. The arguments have been rehearsed endlessly so I spare you another repeat. However, there is one aspect that receives less attention. It's the ability of the Greek government to reform as opposed to its willingness to do so. Much of the discussion hinges on whether Greece can get the breathing space through another bailout (or a long term debt relief) to reform its economy and become competitive in the world markets again. This assumes however that the Greek government has the wherewithal to actually carry out reforms at this stage. It seems to me that this is a huge assumption to make given the parlous state of its tax system and the traditionally low levels of administrative governance in the country. So, despite all talk about the pros and cons of bailouts, even if Greece would be afforded some space and time, it is unlikely to emerge any time soon as the all new and shiny South European twin sister of Germany. This aspect shifts the perspective from what the Greek government is willing to do (triggering nasty discussions about blame) to what it can and can not do, prompting a realistic calculations of the chances to reform. It is that realism that should guide politicians on Monday what to do about Greece, rather than indulging in fantasy scenarios. The UK general election delivered several earthquakes at once. So far, most of the commentariat focused on the second largest party, Labour, and its demise in Scotland and England (incidentally, Labour also lost long held seats in the Labour heartland of Wales). Whilst Farage himself is likely to survive this self-inflicted de-thronement, the chances of survival for his party in the long term look marginally more bleak. It appears to me that UKIP, despite netting an unprecedented number of votes, has only one way to go: downhill. The reasons are manifold but the central issue is salience. Political scientist regularly establish rankings of issues in people's minds through polling evidence. Whatever comes high up on the list has high salience, i.e. has the capacity to sway people's votes in future elections. The issue UKIP is most associated with is the European Union and immigration from the European Union. As part of a 'de-toxifying' effort, Farage clearly distinguishes between immigration from the EU (uncontrolled, hence bad) and from overseas (controlled, hence good). This means the party has consistently focused its policy attention on the EU and is wedded, for good or ill, to the European issue. Evidence from polling however also consistently shows that Europe itself ranks low on people's minds, in other words, Europe has low salience. Once politicians are seen to be addressing the European issue (renegotiation of benefit tourism and gaining approval for changes through a referendum), voters' attention to Europe is likely to decline even further. I have previously argued that the dominant mode of thought for British voters about Europe is one of benign neglect rather than exasperation as to any alleged lack of urgent action. This spells problems for UKIP. Being asked at Question Time what the purpose of UKIP could be once the referendum is done, Farage pointed out that the raison d'etre of Scottish Nationalists was similarly questioned after the Scottish Independence referendum but they seemed to have survived it rather well. Yet, as Farage is undoubtedly aware, the SNP always had a proper agenda for social and economic change. Their purpose did not exhaust itself in bringing about an independence referendum. The reason they are in government in Edinburgh is exactly because the policies they formulated relate to a broad range of issues with high salience for people across Scotland, from unemployment, poverty to health care. For all its willingness to change, UKIP is still a one man show and a one issue political party. That's why it is hard to see it making inroads with voters beyond 2016. GE2015 might just have been the last squeak of the UKIP mouse. When Ed Miliband was selected as the new Labour Party leader, the cameras picked up his brother David mouthing to a colleague: 'He will crush and burn.' That's exactly what has happened. So where did it go so wrong? Part of the problem was that Miliband's analysis of post-crisis Britain was fundamentally wrong. Miliband thought that the country has moved to the left. He took the chit chat about inequality in academia and the Westminster village as reflecting support for socialist principles. He was wrong and anybody who wanted to listen carefully two or three years ago, could have known this. The second miscalculation was that Labour believed their own rhetoric that the Conservatives had moved to a soulless ghoulish right of the political spectrum. Nothing could be further from the truth. Despite all the noise from the Polly Toynbees in the intellectual elite, the election has shown that policies of Tories resonate with people in the electoral centre ground. The fascinating thing is to step back and look at the defeat of Labour in a wider (European) context. The party may lick its wounds for months to come, and may shift even more left as a consequence, yet if they afford themselves a good look across Europe they would see that any social democratic party that relinquishes the centre ground loses elections. Today, it may look like a disaster has befallen Labour, but my feeling is that even more pain will be felt until they challenge the Conservatives in the centre ground. I told myself that I was not going to comment any further on the General Election 2015 on this blog. But Ed Miliband has a way of twisting people's arms. So, I have to confess: I can't resist saying something on his latest blunder, the 8ft stele Ed wants to install in No 10 Downing St (if he ever gets to live there). 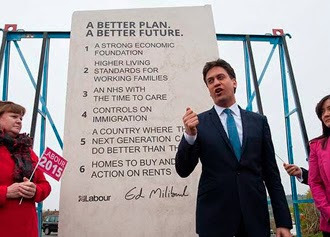 Mil(l)stone around their neck or gravestone of Labour's campaign? The stone slab that lists some of the most vacuous 'commitments' in Labour's electoral history was presented to the media last week and already induced laughter and derision (as well as despair) from friend and foe. It is not so much the question 'what he was thinking'. What astonishes me is that neither he nor anybody in his immediate election campaign team raised alarm bells. Did really no one say: 'Hold on, what are we doing here?' The slab ostensibly speaks to a lack of common sense and judgement in Labour's team, a point that did not go unnoticed by commentators. The contrast between the utter malleability of the pledges and their alleged 'permanence' through the choice of material adds an ironic twist to it, reflecting the gulf between Miliband's motivation and his inability to say anything committal in this campaign. In this sense, Miliband has done the country an enormous service with this gimmick of Gordon Brownian proportions. We now know: the more he insists, the less sure he is of himself. I admit that I am a bit of a policy wonk. Questions about what to do with public money, who gets what and when, are infinitely fascinating to me. My suspicion is that I am not so much gripped by the mundane fights for resources, but more by an instinctive feel that most issues of public policy are ultimately unresolvable. Still, the debate about what's the best solution to a tricky problem is exciting stuff. Yet, whilst I am glued to the BBC Parliament Channel as other people are to Wolf Hall or Game of Thrones, election times are an utter bore to me. It's not that this general election is one with the lowest stakes (what's the difference between Ed Ball's and George Osborne's budget plans? Answer: 0.6 per cent!). And one with the silliest drama: Will the Greens get one seat or two? Does Miliband have two kitchens? (who knows... who cares...) What really annoys me is that general elections are basically times of careful choreography and control, rather than genuine political debate. Pundits called psephologists (is that a rude word?) tell us that most people switch on to party political broadcasts only in the last two weeks. By then I have well and truly switched off. Trotting out well rehearsed formulae about who means catastrophe or salvation in whose book are as exciting to me as watching a wrestling match between Ham the Clam and Chilly McFreeze (apologies to pro-wrestlers named such). So, there we are: as the electorate finally wakes up to political debate, the real debate about policy has long been had. The final blow in the theatre called GE2015? So, can somebody please let me know when this spectacle called general election is over and we can talk proper politics again? The BBC programme 'Who do you think you are' has been immensely popular with UK audiences and its US counterpart 'Finding your roots', whilst occasionally nodding to mind numbing US documentary formats, has also enjoyed good viewing figures on PBS. 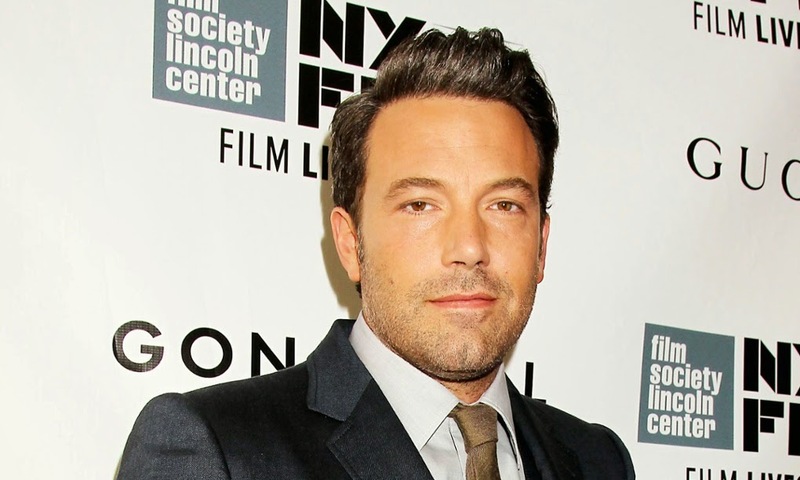 The editor of the US series, Prof Henry Louis Gates (of none other than Harvard University) has now walked into a minor media storm when an email exchange was revealed between himself and Sony in which he voiced his concerns that one of Sony's superstars Ben Affleck, who was a subject of one episode, asked Gates to suppress information about his ancestors that the research team unearthed. The information Affleck did not like to see in the public domain was that one of his forebears had been a slaveowner, presumably something that ran counter to the carefully crafted liberal (leftist) image of himself. As the email exchange shows Gates was unhappy about the request and appeared to be minded to reject it, but then agreed to a version that left out the controversial finding. In a piquant detail, PBS warns Gates that if it became public that he sanitised the historical record of one of his subjects upon request, he would risk his scholarly reputation. Still, Gates obviously bowed to pressure from Affleck. Gates is now engaged in a media battle to salvage his reputation, releasing a press statement pointing out that he retained complete editorial control over the episode. As Gates knows full well, keeping editorial control is key to his scholarly reputation. Yet the email exchange shows otherwise. He came under pressure from Affleck and yielded. To put this into perspective, imagine a pharmaceutical firm would run a trial and suppress findings about the deleterious side effects of the medication tested upon request from the firm's CEO. Affleck does not come off much better in this story. 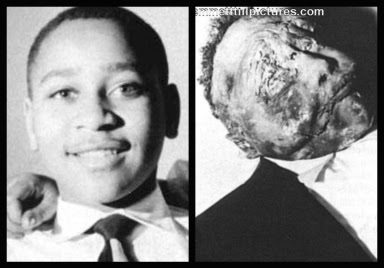 Interestingly, the programme revealed that his mother was active in the civil rights movement. The information about slave owning ancestors could have shed some fascinating light on her personal motivation for political action yet, suppressing the inconvenient detail of slave owning clearly deprived her story of political engagement of any meaningful context. celebrate instead is the ability of human beings to reflect, learn and change their ways. That fundamental point gleaned from history appears to have escaped bother Gates and Affleck. Are we bothered by inequality? One of the central electoral campaign themes of the Labour Party is inequality. Economic and social inequality has certainly figured prominently in the public debate over the last couple of years, spurred by discussions about bankers' salaries and bonuses for CEOs. The Miliband camp argue that attitudes of British people have fundamentally shifted from the Blairite cavalier approach ('Not bothered about the filthy rich') to significant levels of concerns about wage inequality. But is this true? From:The British Social Attitudes Survey, 1983–2012. 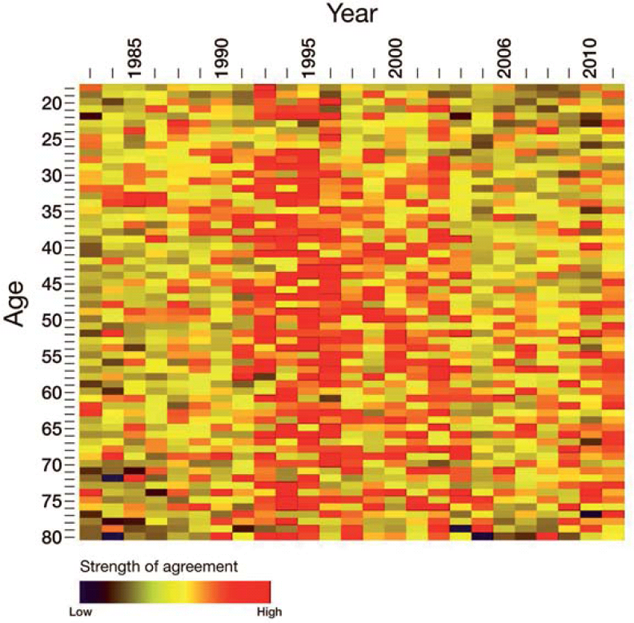 The diagram clearly shows that there has been widespread concern about income inequality across all age groups in the 1990s, then largely petering out during the Blair years. Interestingly, looking at the years 2010 and later, there is no reversal in the aggregated responses to the high levels of concern under Thatcher and Major. The survey results appear to indicate that, with the exception of the age group between 55 and 70, concern with income inequality remains low. Moreover, the younger generation registers the lowest levels of concern with the issue of income inequality compared to all other age groups, a finding that contrasts sharply with the anecdotal (ostensibly wrong) evidence of young people on barricades (and in occupy camps) in the UK protesting against income inequality. This has also implications for the campaign of the Miliband camp. If income inequality does not appear to be a major concern of people in Britain, it is unlikely to be a major motivating factor to vote either. Shall we cap profits in health care? 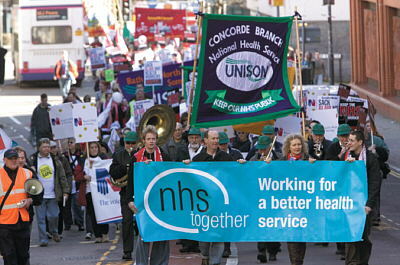 As the general election campaign is limping from one damp squib to another, Labour came up with an idea on the NHS. Yesterday Ed Miliband made a commitment that all profits from health care contracts with private providers should be capped at 5 per cent. Any profits above that threshold will be seized by the government and ploughed back into the NHS. The suggestion to cap profits resonates with many people's gut feelings that health care provision should not be a matter for capitalist profit. Health, so the reasoning goes, is not up for sale. The principle is a well respected one and echoes fundamental reservations about mixing up health and capitalism. However, at closer inspection, it seems to rest on confusing two different dimensions of health care provision. The first dimension is the relationship between doctor and patient. Whatever goes on between patient and doctor is regulated by codes of medical practice and national guidelines. Profits have never played a role in this relationship despite GPs being private enterprises since the foundation of the NHS in 1946. And neither should they. The second dimension is the health care market grouped around the first domain, ranging from the supply of protective gloves to syringes and capital investment into NHS hospitals. To wish away the market element in the supply of the health economy is like legislating for sunshine on Tuesdays. Labour's proposal willfully confuses the two dimensions, the doctor patient relationship and the health care economy around it. As a former Labour health minister noted today, Ed Miliband's NHS policy amounts to little more than bluster. So, what do other countries do about profits in the health care economy? The issue has been intensely debated during the introduction of Obamacare in the US and the lead of the implementation team (no other than Larry Summers) decided against a profit cap. Why? He argued that profit caps eliminate the (only) positive effect private providers bring to the health economy: their ability to look for savings. Private providers have an incentive to seek out lower prices for comparable services or products because they can pocket the difference (the profit). If profits are capped, that incentive does not exist and prices will inevitably rise. This can be disastrous for a tax funded service like the NHS or one like Obamacare, since without the pressure of providers to identify cheaper options prices for the buyer (the NHS) will increase. In other words, eliminating the market element in private provision leads to higher costs for tax payers. Miliband claims he is an ideas man. Looks like precious little thinking has gone into his last policy. My friends on the right and the left of the political spectrum usually agree on one thing: the shocking partisanship of the BBC. To those on the right of centre, the BBC is full of unadulterated socialists, while for those on the left of centre, the Grand Old Dame of public broadcasting is a mouthpiece of Thatcherism. To me, the unison condemnation of the BBC by all of them demonstrates that the BBC is clearly doing something right. In fact, I believe that its journalists are unfailingly impartial. Compared to German news (Germany has a similarly tax funded broadcaster obligated to impartiality) the BBC's reporting strikes me as notoriously bipartisan. Listening to Nick Robinson's verdict on Prime Minister's Questions on Daily Politics I am always struck by his verbal contortions to do justice to everyone involved. So, far so good. But is impartiality always good for us as a society? The question may sound strange, but there is an argument that, unfailing impartiality may contribute to a lack of representation of extreme views in public debate. If you thought that this would not matter (the likes of BNP or al-Muhajiroun clearly make good use of social media) you are wrong. Any healthy society needs open and honest debate, and part of that debate is the ability of people to voice their views and opinions. The founders of American government recognised that by enshrining the right to free speech in the constitution. That right has repeatedly been interpreted by the Supreme Court to include the articulation of unpalatable ideas, unpalatable, that is, to you and me. But is the BBC just as representative of those voices as it is of the mainstream? I think it may just fall victim to its own laudable, yet narrowly applied, principle of impartiality there. When it invited (then) BNP leader Nick Griffin to Question Time, the media storm lasted for weeks. As it happened, his views seemed to sink without much notice and the BNP is now nowhere to be seen. So, perhaps the BBC and other broadcasters should have more faith in our ability to listen, engage with and ultimately reject the extreme and radical ideas of some on the fringes of the political spectrum. After all, confronting their ideas should make good debating practice. Popular wisdom has it that all it takes to win a general election is to have better answers to the problems a country faces than your opponents. A coherent vision and narrative may help too, plus a consistent message articulated on the door steps when canvassing the great British public. A recently published study in the academic journal however questions this view (Hartwig Pautz, The Thinktanks behind Cameronism'. It argues that opposition parties that are successful at general elections undergo a period of intense debate about ideological renewal, often leading to political re-orientation. The arena for this debate are often think tanks that are more or less associated with the political party in question. Labour underwent such a period before it emerged as New Labour under Tony Blair. The hallmark of such a renewal, and measure of success in readying the party for government, may be the extent to which new policy ideas are being generated, debated, rejected or endorsed. Idea generation, in essence, is an indicator of how effectively a political party functions as a powerhouse for policy formulation necessary to formulate future government programmes. The Conservative Party experienced a similar period of internal debate and renewal under David Cameron before the general election in 2010. The jury is still out whether or not it was sufficient to make the Tories a genuinely modern party, but hardly anybody denies that the party has undergone fundamental changes with modernisers, such as George Osborne, in key positions. 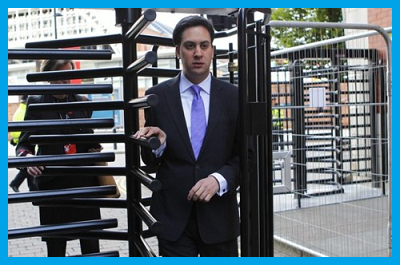 Squeezing through - Ed Miliband - Man without policies? The picture is different for Labour under Ed Miliband. After five years of relative discipline and few internal squabbles, the party emerges almost empty handed to face the electorate in less than 2 months. Whilst Miliband himself tried to provide an overarching narrative in the 'cost of living' argument (a debate that is vanishing fast with wage rises gathering pace), the party is casting frantically around for policy ideas even at his late stage (note the recent speech of Shadow Education Secretary Tristam Hunt on 'innovation' in the classroom). Whatever Labour wants to be (a force for good in society) and who it wants to represent (the long suffering middle classes or people on zero hour contracts?) it lacks the wealth of ideas and the history of constructive policy debate that characterised New Labour in 1997. If it squeakes into government on 8th May, it will resemble the government of Miliband's political mentor: Gordon Brown. Having exhausted his energies and political capital in the fight against his own party and the Blair camp, Brown, when he finally moved into Number 10, had nothing to say and no policies to implement. If it hadn't been for the economic crisis, Brown's government would have quickly been revealed as one without purpose or direction. With Britain on the path to economic recovery, Miliband wont be so 'lucky'. The lack of ideas will come to haunt him as he steps into Number 10. If he gets that far. In 2007, the British Channel 4 television series Time Team started an archaeological dig in Coberley, a location in the Cotswolds. The dig quickly revealed a stunning mosaic within a large building, probably built in the early 2nd century AD. It was undoubtedly Roman. As the archaeologists revealed ever more of the mosaic something strange started to appear. The mosaic showed the usual plow damage, straight lines across it where the tesserae has been ripped out. But by and large, it was still in excellent shape, yet its central piece was gone. 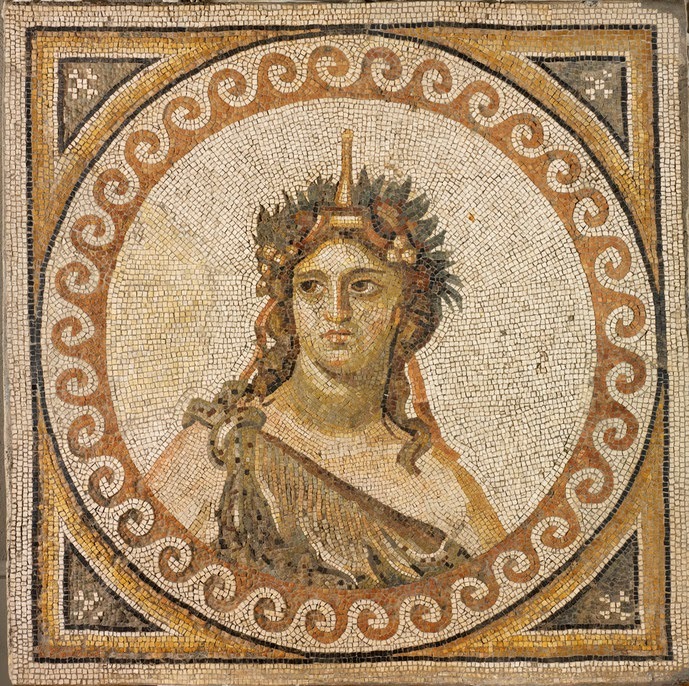 Mosaics in Roman villas are often of similar shape and pictorial content. Experts agreed that the central missing piece was most certainly a depiction of the God Bacchus. If it had not been damaged by plowing, what could have caused the destruction? On closer inspection it became clear that the picture of the God in the centre of the mosaic had been deliberately taken out and replaced by broken pieces of roof tiles. So, somebody had removed the original picture and substituted it with a crude floor. This indicated that, whenever it was done, the villa was still a functioning building and the floor was still needed. So it was repaired. The culprits were quickly identified. As Romano Britain declined, early Christians often embarked on iconoclastic destruction. A particular target of theirs were depictions of pagan Gods, like Bacchus. I was reminded of this Time Team episode and its remarkable window into early Christian iconoclasm when I recently heard of the wilful destruction of the Assyrian city of Nimrud in Iraq by Islamic State. What struck me are not so much the parallels between religious fanaticism of either creed or conviction, but the ultimate futility of iconoclastic destruction. We still know what Bacchus looks like. In fact, the void in the centre of the mosaic speaks to us just as eloquently about the failure of any effort to destroy the fabric of human culture as a complete mosaic would have spoken to us about its longevity. Following the destruction of Bacchus portrait, the early Christians in the Roman villa in Coberley patched up the mosaic and continued to live within the building. Whatever they hoped to accomplish by hacking off the picture of a pagan God, all they did is add another layer to the eternal human story of destruction and renewal. Greece's financial situation is becoming more precarious by the day. Paradoxically, it is not its debt that is weighing Greece down nor the greed of its lenders, but it is the lack of trust by its own population that is making life harder by the day. Greeks are still withdrawing millions of Euros every day from their bank accounts, clearly anticipating that this will all end in tears, i.e. the Greek exit from the Euro. The sad aspect of this Greek saga is that it was entirely preventable. Greece's debt burden was heavy yet entirely manageable at the time of the election, and the budget ran a first initial surplus. The economy showed some signs of recovery and investments picked up. All that has now stalled due to the insecurity created by the zig zag course of the new government. So what's the case for the strategy pursued by the Greek government? Let's look back at the last six weeks. Starting with the election, the Greek government had a very strong lever at their disposal. Germany as well as all other main players signalled that they would make sure that Greece remained within the Euro. This was a solid foundation from which to build within the Euro zone a coalition around change for growth and investment. At about the same time, the recently appointed Commission President Juncker announced that he was working on something similar which chimed with the intentions of the Greek government to move from austerity to investment for growth, a (now approved) 350 billion Euro programme. Yet, within two weeks after the elections, the Greek government managed to antagonise not just its main lender (Germany and the IMF) but also its smaller European partners, such as Slovenia and Slovakia, who notably contributed millions of Euros to the Greek bailout programme despite being much poorer than Greece. Talk by the Prime Minister Tsipras and his thin-skinned Finance Minister Varoufakis about Greece's entitlement to other countries taxes ensured that they lost all good will by their European counterparts. Eventually, the Greek government had to climb down and accept a four month extension of the existing bailout programme to the old conditions. This can only be called a phenomenal failure of policy on the part of the Greek government given that they actually had a strong negotiating position at the start. Why did this go so horribly wrong for the Greek government? The main reason appears to lie in their inability to differentiate between electoral campaigning and negotiating with European partners. Both Tsipras and Varoufakis appeared to believe that their electoral campaign rhetoric would bear just as much weight in negotiations with their European partners as it had with the Greek electorate. Their maximalist demand (access to taxpayer's money of other countries without any budgetary control) may have made sense within the domestic national debate, but its logic fell apart quickly when articulated within European institutions. Confronted with this failure to get their way, Tsipras and Varoufakis resorted to blackmail, indicating that they would violate ECB rules if their European partners would not meet their demands. In a way, this strategy ensured that Euro zone members are now seriously thinking whether a Greek exit from the Euro would indeed weaken the Euro, or whether in fact it may strengthen the currency. Which is exactly where the Greek government does not want to be in the larger scheme of things. Once their main negotiating asset, the unwillingness of their partners to allow a Grexit is gone, they will have no levers for negotiating further debt relief. The Greek negotiating tactic resembled a high wire act which they embarked on with several heavy suitcases stuffed with maximalist demands instead of travelling the rope as light as possible. This whole episode may soon feature in university handbooks on policy making as a prime example of poor strategy. Once safely back in his university post, Professor Varoufakis may be able to read up on it.